We said that we use classification to help organize groups in certain ways. The book chapter this week dealt with classifying formal and informal language. We looked at each in terms of situation, persons, and language examples for both categories. The important thing is that you can classify just about anything. The act of classifying helps you to organize your thoughts for speaking, reading, or writing. 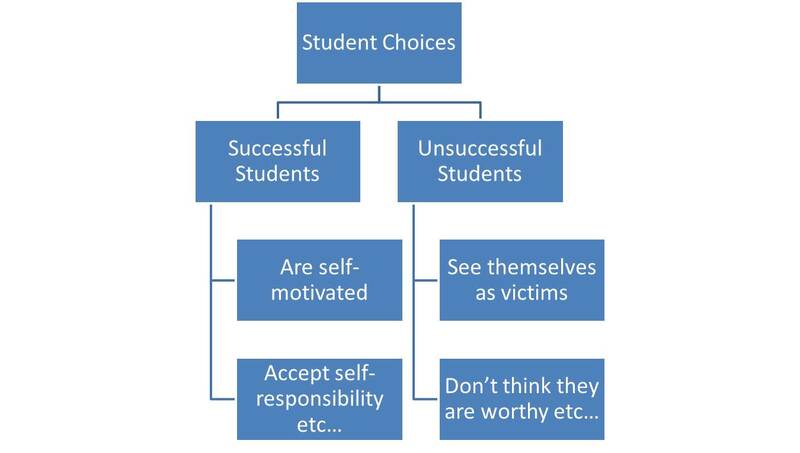 We then used an except from Skip Downing’s OnCourse Principles, talking about the different choices of successful and unsuccessful students. You worked in pairs to figure out the best organizational chart to represent this information. Finally, you took home a survey to identify your own successful and unsuccessful characteristics. With this information, you can make changes you’ll need to be successful!